With Mother’s Day fast approaching- you might be thinking of things to give your mom. And while any gift from the heart is nice- there are some that are so sweet, they make Mom cry with happiness. In a collection of letters from celebrities such as Mariel Hemingway, Melissa Rivers, Shania Twain and many others, Lisa Erspamer has created a collection of letters from these celebrities about their intimate relationships with their mothers. Thanks to Sarah @ Wunderkind PR, Traveling With T has 1 copy to give to a lucky reader! “I loved entertaining you. You were the best audience ever. Those times I did skits for you while you lay sick in bed were the times that made me believe I could be a performer, that I could make people laugh and cry because you could see me. Now when I laugh and play I do it in honor of you. Want to know more about A LETTER TO MY MOM? Visit the website for more info! 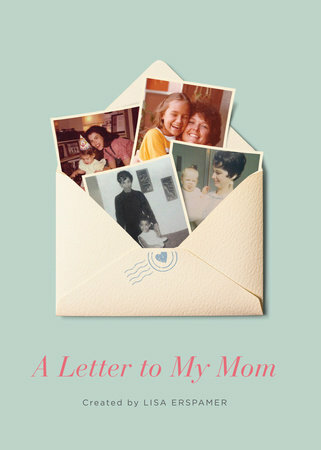 Win 1 copy of A LETTER TO MY MOM (US only). Check the Rafflecopter for more details.